Disclosure: I received a Cricut Explore in exchange for participating in the Cricut Design Space Star. All opinions are 100% my own. This post was not sponsored but there are cash prizes available to the winners of this challenge. This post contains affiliate links. If you purchase something through the link, I may receive a small commission at no extra charge to you. Please read my full disclosure policy here. I am excited to tell you I have been chosen to participate in Cricut Design Space Star! It is a monthly competition among your favorite bloggers. Each month is a different design category and each team will choose a particular theme. For our first project, we had to create a fashion or gear design with the theme of lace. Once our team decided on a theme, I had an idea of what I wanted to make. 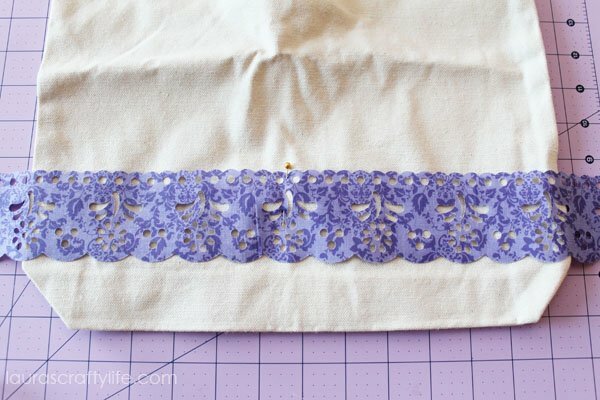 I wanted to cut “lace” from fabric on my Cricut Explore™. 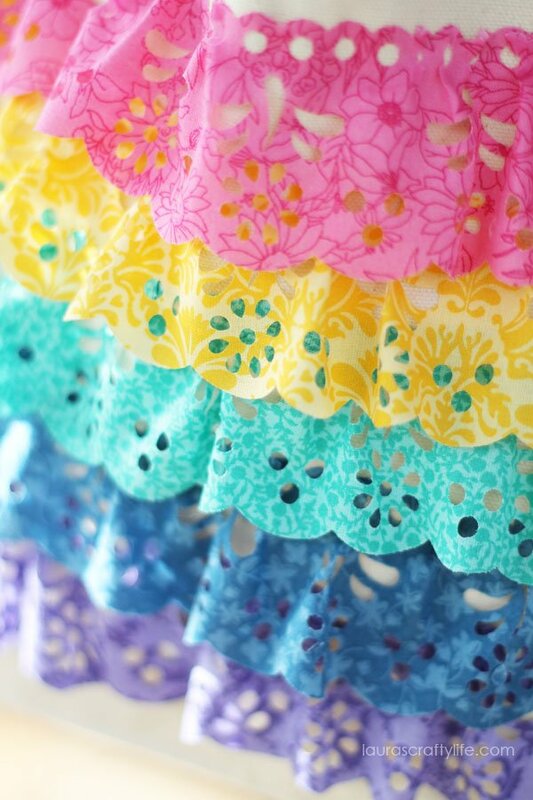 I would then use these lace fabric pieces to create a no-sew ruffled lace canvas tote. 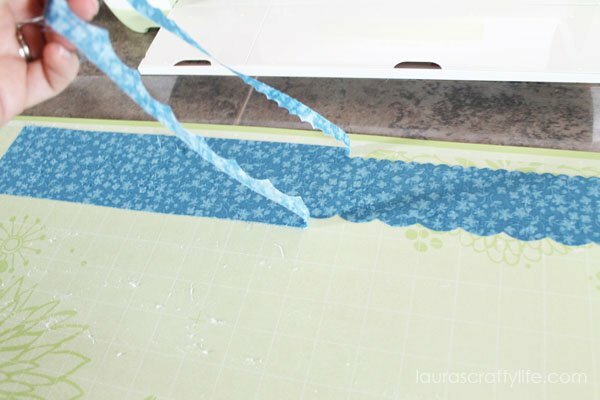 Step one: Cut a strip of cotton fabric 3″ wide and 20″ long. Cut a piece of interfacing the same size. Follow the manufacturer’s instructions to adhere the Heat ‘n Bond to the wrong side of your fabric. 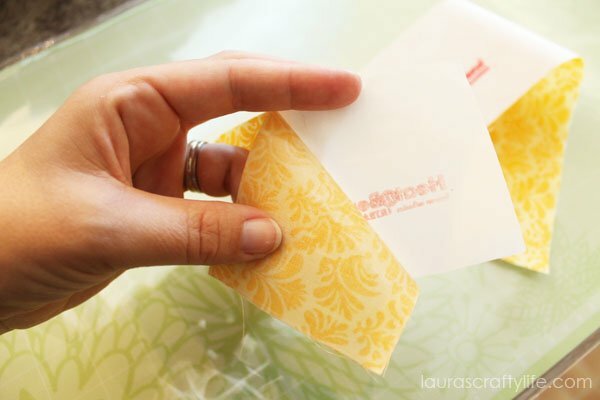 Allow fabric to cool. 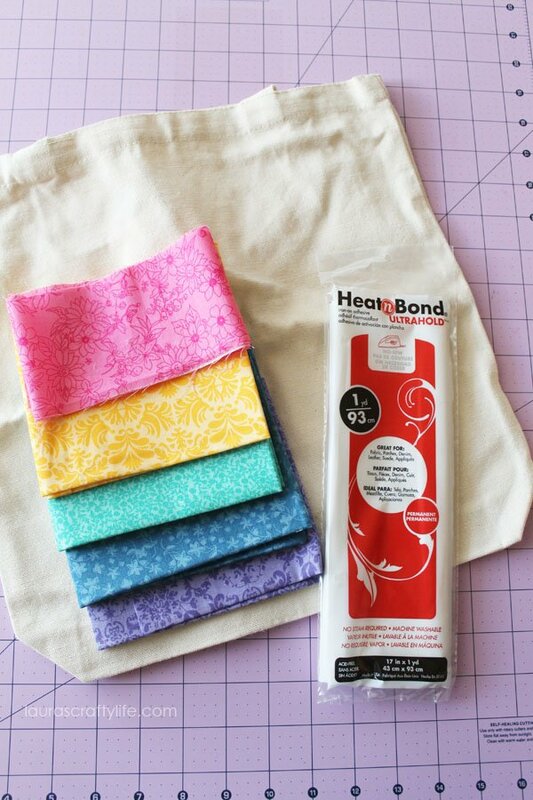 Note: I tried several types of fusible interfacing/iron-on adhesive and the Heat’n Bond Ultrahold was the only one that allowed me to get the precise cuts I needed without fraying or pulling up from the mat. 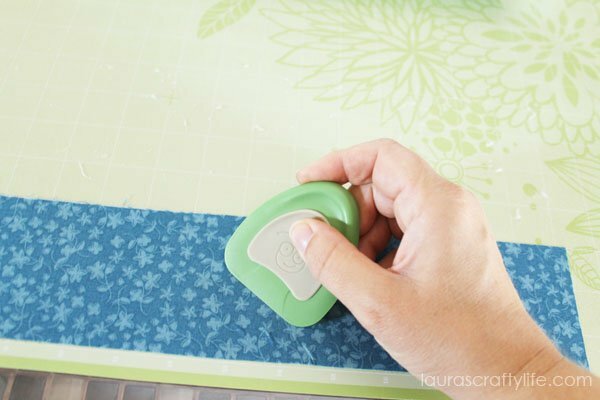 Step two: Place fabric on 12″ x 24″ cutting mat. Smooth it down with a scraper. This will make sure you have a good bond between the mat and the fabric. 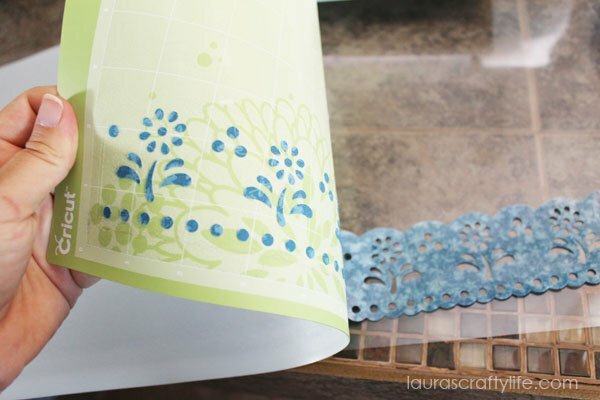 Step three: Open Cricut Design Space™ and open the file for the ruffled lace canvas tote. Click ‘Go’ and follow the steps to cut your design. Step four: Peel the fabric from the mat. I found it easiest to peel off the outside edge first. Then, flip your mat over and peel the mat off the fabric, rather than the fabric from the mat. 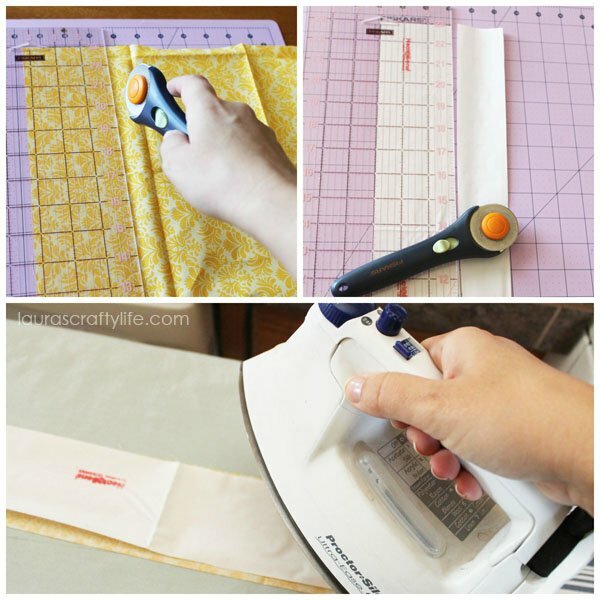 This will prevent your fabric from curling up at the edges. 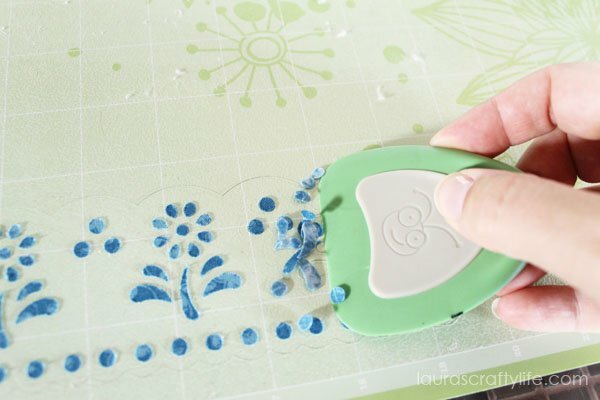 Scrape off all the extra little fabric pieces from your mat. Step five: Repeat steps one through four for your additional pieces of fabric. 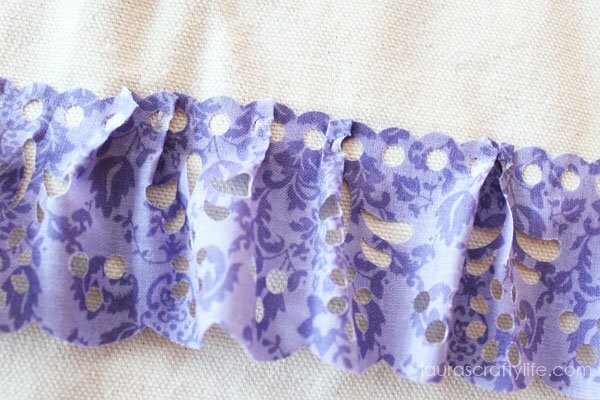 Step six: Now you are going to create your ruffle. 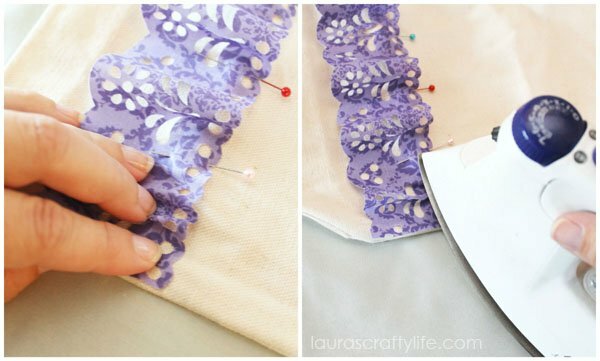 Start by pinning the bottom piece of lace on your bag. 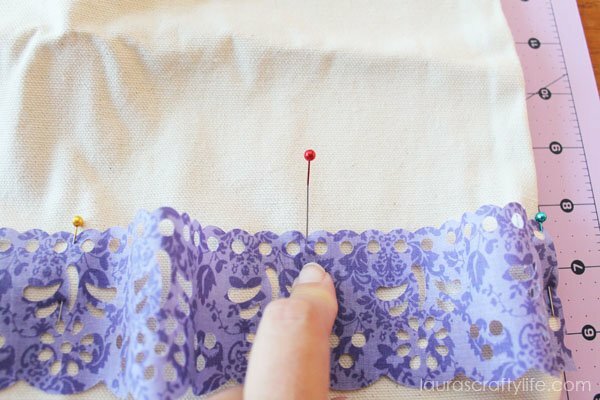 Find the middle of your lace and pin it to the middle of the width of your bag (I just eyeballed it). 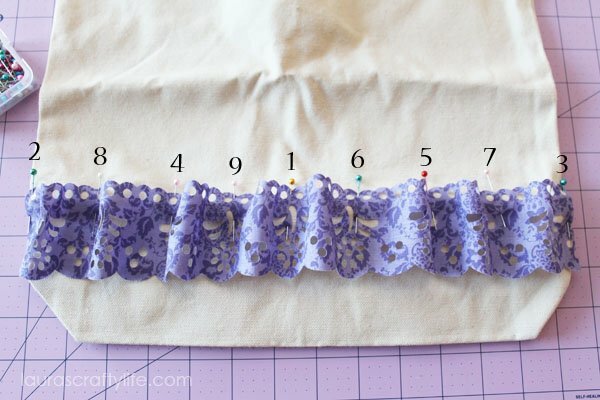 Now pin each edge of your lace to either end of your bag. 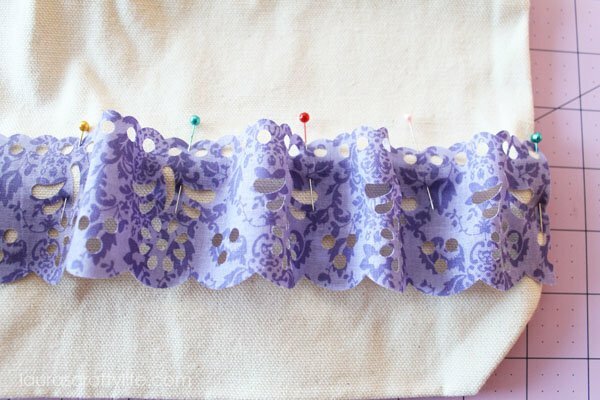 Start on one side and find the middle of your lace again between the end pin and the middle pin. Use another pin to mark the middle of that section. Lastly add two more pins to divide the lace again. The pictures do a better job of explaining what do to. Basically, we are trying to evenly divide the fabric across the bag to be able to create a ruffled look. You can see the order in which you place the pins in the following picture. 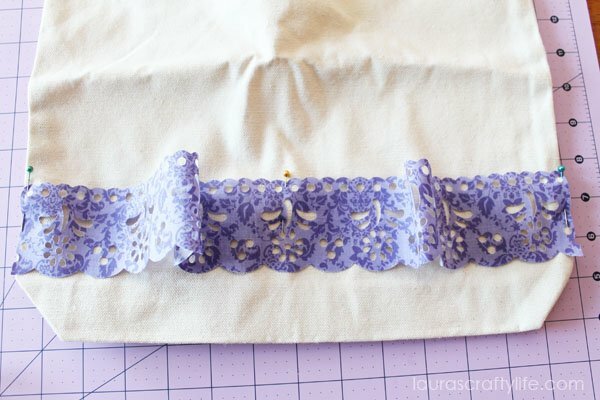 Each time you add a pin, find the middle of that section of the tote as well as the middle of that section of the lace and pin. Step seven: Start ironing just the top edge (about 1/4″) to your canvas tote. I removed one pin at a time, gathered the fabric with a couple of puckers and ironed down. It doesn’t have to be perfect. You are simply trying to create a ruffled look with the lace. Continue removing one pin at a time and ironing that small section according to manufacturer’s directions until you reach the end. I held my iron on each spot for about 6 – 8 seconds. 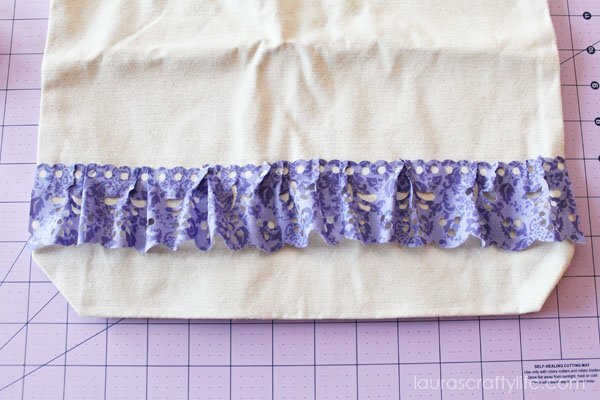 Step eight: Start with the bottom ruffle and work your way up repeating steps six and seven until you have all of your ruffled pieces attached. You can see how versatile the Cricut Explore really is. 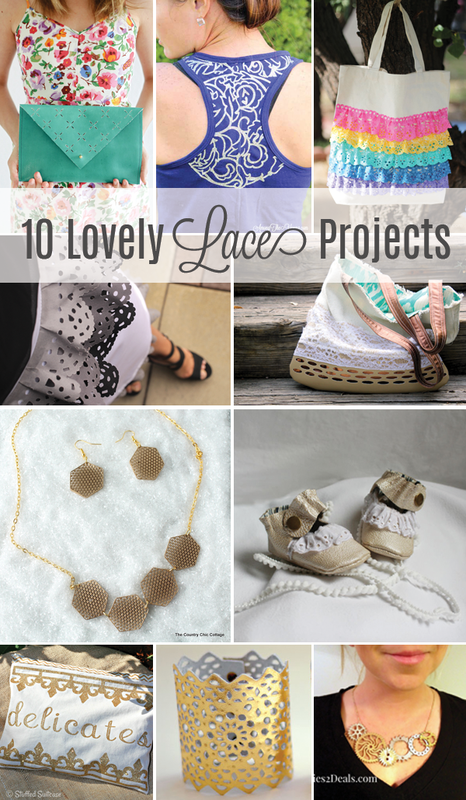 Check out my amazing team’s lace projects! 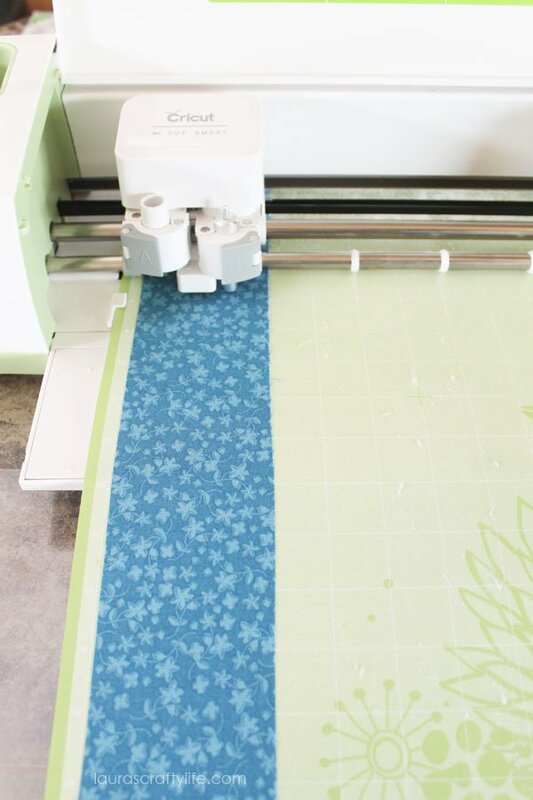 Thank you for sharing how to create with fabric and the Cricut! I just won an Explore with the #imadeit contest and wanted to figure that out. Thanks again for saving me money and grief. 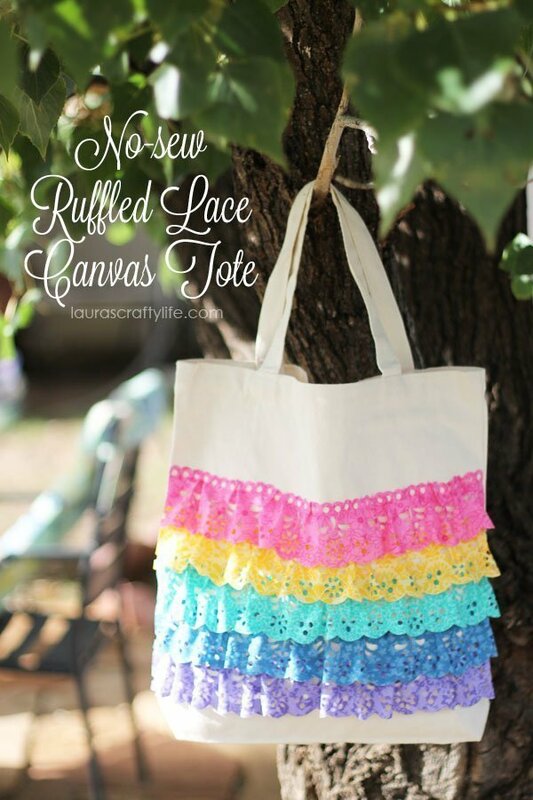 Your tote is gorgeous! Thank you Lauren! I was amazed the Cricut Explore cut it so well. This machine is truly awesome! 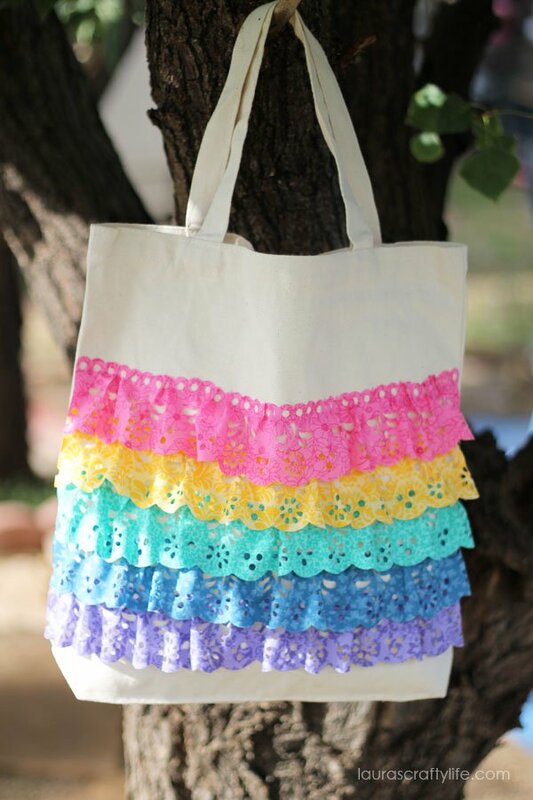 I just purchased my first Cricut machine ( Explore Air 2) and saw the Ruffled canvas tote you promoted, but I cannot find it on the cricut design space.